Cubes appear to be Amazon Japan exclusive. Last edited by kurdt_the_goat; 14th June 2012 at 07:06 PM. Looks like Laserbeaks weapons are part of the cassette! That's very cool! Thanks for your efforts kurdt! Could that be an actual working mini-jack..? It looks like there's only room for one cassette. The Amazon page says he can fit 3 cassettes and suggests more are scheduled to be released in the future. There's no mention of electronics. Looks pretty tight. Now all I need to see is a size comparison. Most likely going to be too big a classics collection, and too small for an (early) MP collection. 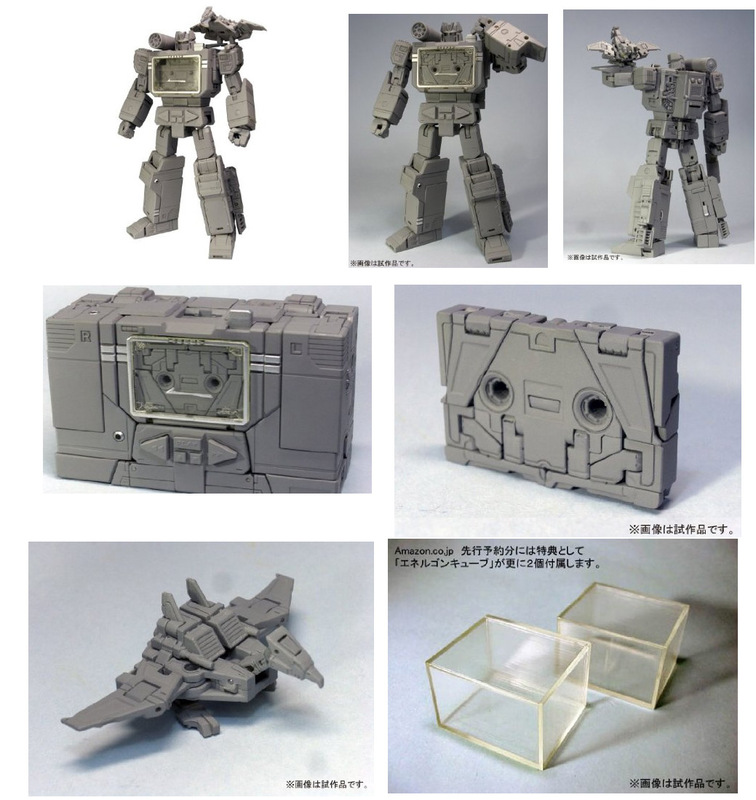 I think I'm actually more interested in Laserbeak than I am in Soundwave. ^^^ Same. Not really interested in Soundwave however I want laserbeak.